Prominent & Leading Manufacturer from New Delhi, we offer gmax maintenance free earthing compound, ploy plastic pit cover, gi earthing strip, earthing gi strip and high quality polyplastic earthing pit cover. GMAX EARTHING Safety of life and protection of assets are an important everyday feature of worldwide and Indian Industries. 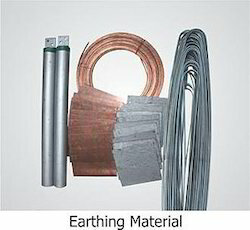 Deteriorating earthing system can have an adverse effect on this philosophy adopted by the industries. Gmax maintenance free earthing compound ensures that deteriorating earthing does not compromise the safety of life and asset. 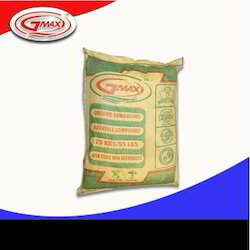 The use of gmax + maintenance free earthing compound adheres to specifications described in IEEE 80 2000 clause 14.5d. Gmax advance inspection pit covers gmax inspection pit covers are designed to easily withstand loads of 6,000 kilograms as well. Pit covers for earthing, offered by us, are designed using heavy duty polypropylene ensures a number of features like excellent dielectric properties, chemical resistance, high mechanical strengths, no water absorption and so on. 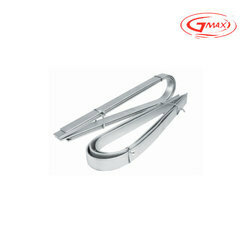 These unmatched features make them appropriate for commercial and industrial applications. The lid of the earthing pit cover perfectly fixed into the base that can be easily opened using a standard flat screwdriver. 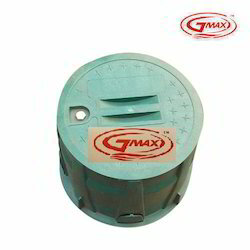 gmax one of the prime ground pit covers suppliers & exporters, we have been offering the unrivaled solution recons in the market for heavy duty, lightweight, easy handling and uv-stabilized gmax earthing pit cover characteristics. Looking for Ploy Plastic Pit Cover ?